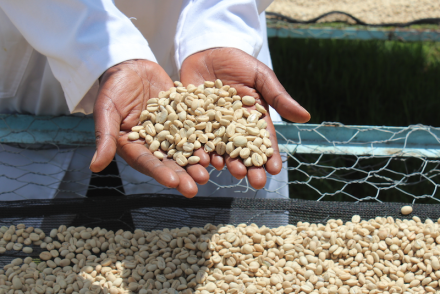 At the Genuine Origin Coffee Project, we do a few things differently, to make buying (and roasting) green coffee beans a lot simpler for roasters. While they’re a romantic symbol of coffee buying, jute bags are easily punctured. When a forklift scoops up a pallet, it’s easy to tear any bits of bags that are hanging down through the pallet’s slats. Even just moving and stacking jute bags can result in puncturing the GrainPro bags inside. Jute bags weigh between 132 and 154 pounds each, and 10 fit on a pallet. And, they don’t arrive via FedEx or UPS — you’re using warehousing companies or freight companies to move your coffee around for you. Sometimes, they also have to unload your coffee from truck to truck. 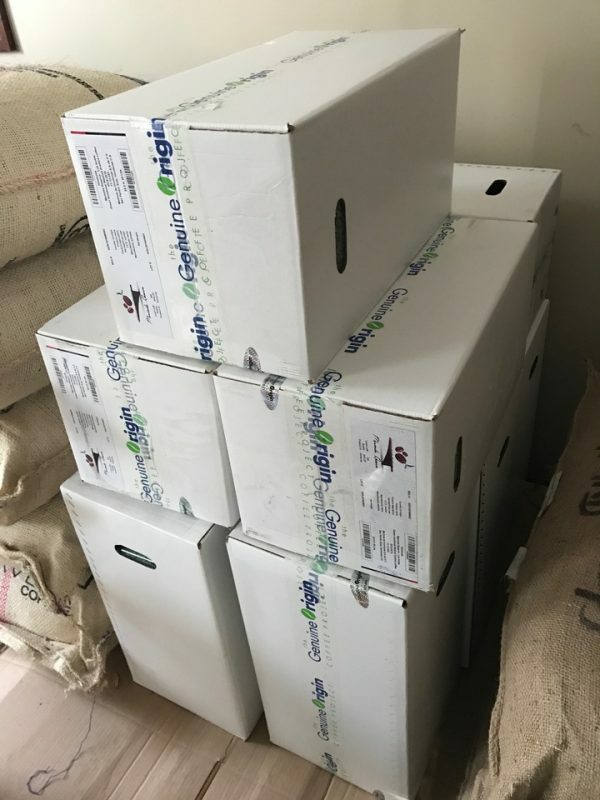 When I was accepting green coffee orders … maybe three times a week we would have a pallet delivered with a coffee bag that had fallen off and had to be restacked. Or someone would drive the forklift through the bag and puncture it, so you’d have to rip the bags off the pallet and weigh each one to figure out how much coffee you’d lost and then report it. It was such an extra headache to deal with. With the boxes, you don’t have the problem with the forklift — they just sit neatly on top. And, they’re less likely to fall over. If you have boxes on a pallet and they shrink wrap that pallet, it’s not going to move, in the way that bags will still roll. Additionally, for smaller roasters with 15-kilo machines, who roast around 10 pounds of beans at a time, a 65-pound bag is a lot more ideal. 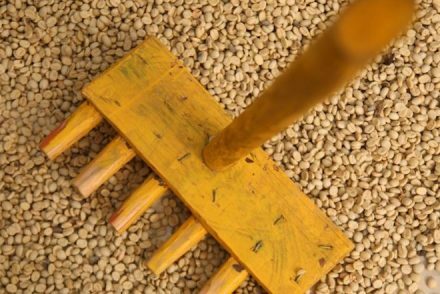 Opening a 150-pound bag to roast 10 pounds at a time, it could take months to go through the beans, which are starting to get stale. 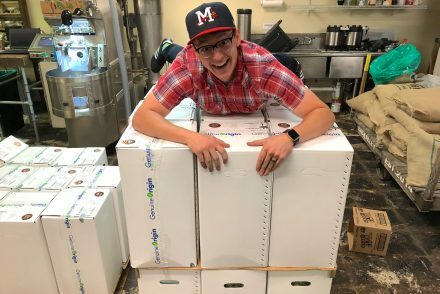 “It’s the difference of roasting three to six times and then opening a fresh, sealed bag, versus roasting 10, 15, 20 times before you can start fresh again,” says Auger. Still have questions about what we do? Email us at info at genuineorigin.com or call Jess Hobbs, the world’s greatest client services expert, at 646.828.8585 between 10 and 6 p.m. EST. And, yet another perk: Samples are always free. Just click over to our store and let us know what you’d like to try.